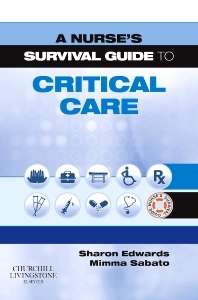 This small, pocket-sized book provides a solid introduction to aspects of care and management in critical care. The book contains not only information on patient assessment, ventilation, haemodynamic monitoring, emergencies, critical care interventions, common conditions and pharmacology, all clearly relating to critical care, but also psychological, professional practice issues, palliative care and caring for relatives. It provides the factual information needed to assist nurses in providing holistic care in the critical care environment, in an accessible format.